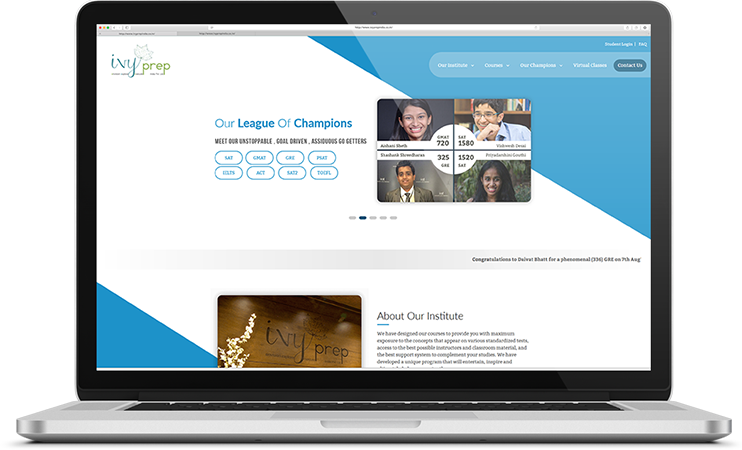 A clearly-organized and functioning website developed for one of the popular coaching institutes. The website met the client’s expectation through attractive graphics, clean and pleasant theme, security, and hassle-free access to information. The website offers a wide range of courses for different examinations such as SAT, GMAT, GRE, ACT, IELTS, and so on. They also provide students with virtual training and online tests to gain the highest possible score.